During the winter months my lips tend to get chapped easily and look dry. Even with chapstick and drinking plenty of water I sometimes have to go through extra lengths to keep my lips soft. 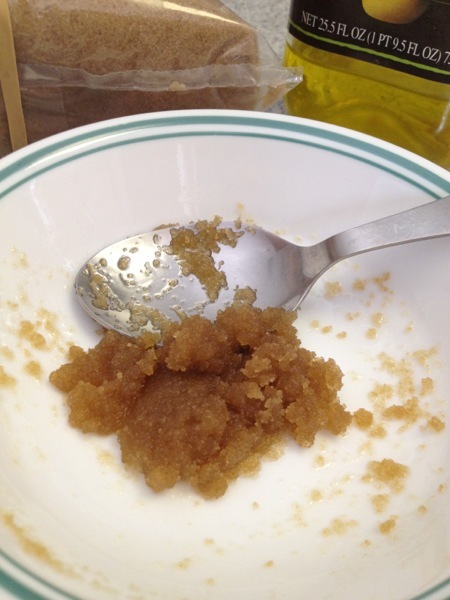 What a better way to get fresh lips than with a homemade lip scrub? The best part is that I had all of the ingredients in my kitchen! Now here's what you do. Mix all the ingrediants together. Then apply a small amount to your lips. Rub gently into lips for about a minute or two. Then wipe off with a warm, damp cloth. Also as an added bonus you can store the extras in a closed jar.